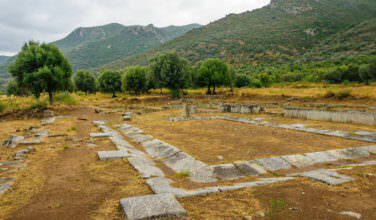 It was the 6th century BCE, and the theaters in the ancient Greece world had become something able to entertain large numbers of people during Greek festivals. These festivals were usually religious in origin and many of the stories and characters in some of the plays were based on the common myths and legends at the time. During this time, the actors would perform plays from dramatized scripts. It was common during this time for a play to only have one person. This person would act as well as direct scene transitions. Eventurally, the plays developed into a handful of actors being able to perform on stage. It was common for there to be a musical background as well as a live chorus and more during these performances. 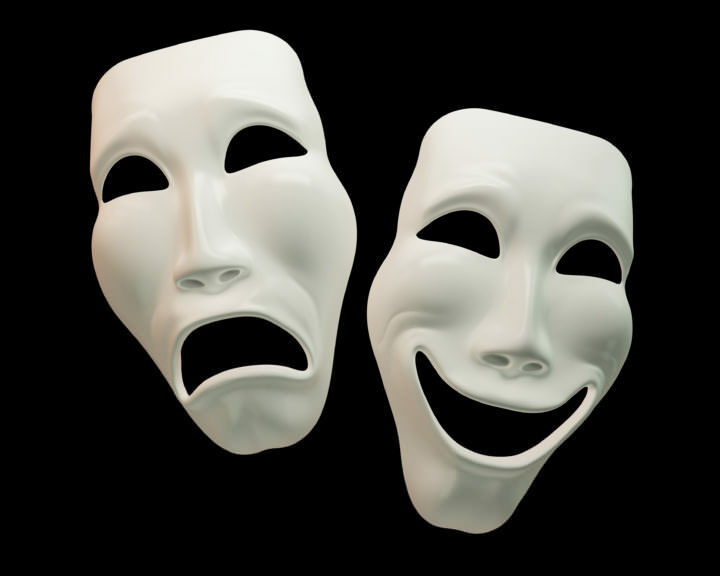 The greek actors would regularly use masks designed to increase the sound of an actor’s voice. This would enhance the drama of a play and enhance the play’s theme. 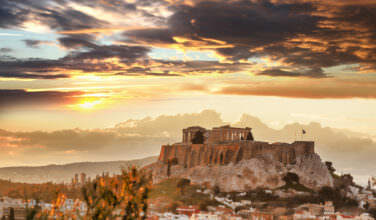 During a play in ancient Greece, actors would change costumes as the play was taking place. This was done in a small tent often located behind the stage. This changing tent was called the skēne. Over time, the skēne became a play’s facade. The costume changes would break up the play into distinct episodes. This eventually became musical interludes. Only three actors would be allowed to be on the stage at the same time. A play could also have as many non-speaking roles as necessary. These limitations resulted in each performer doing multiple roles. This included wearing different masks, changing costumes, character voices as well as making Greek gestures important to the play’s meaning. The exact beginnings of Greek comedy plays are not known. Many people believe they could have started from the activity of actors mimicking one another as well as making jokes about current plays and more. During the 6th century BCE, the plays started to incorporate scenes involving actors dressed in exaggerated costumes that looked like a satyr or horse. They would then perform a dance much to the laughing audience’s delight. Various poems involving humor as well as songs would be sung during various plays. 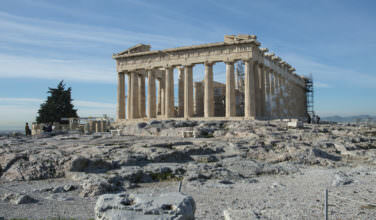 There is some controversy as to the origins of Ancient Greek tragedy. Some believe the Greek tragedy began as a form of earlier poetry. Others believe it is more closely associated with the Greek rituals performed when gods such as Dionysos were worshiped. 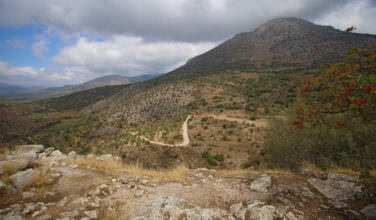 Dionysos did become known as the god of theaters. During the ritual, people would not be able to control their emotions and become another person. This is very similar being an actor. These plays had music with rhythmic parts that evolved the iambic as well as tetrameter of delivering lines when speaking. 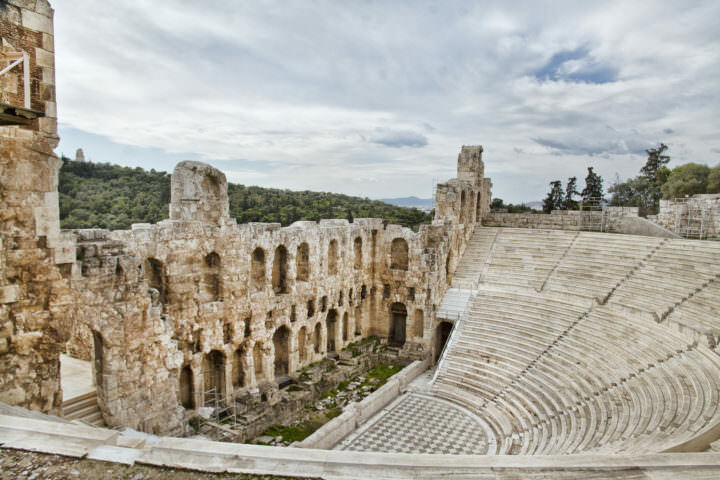 Generally speaking, this was looked at as the most popular type of Greek theater that existed. In a short time, the Greek theater was producing an impressive number of plays. During the 3rd Century BCE, there were professional acting troupes that would travel around ancient Greece to perform the plays. This led to the formation of the actors’ guilds. The increased popularity of the Greek theaters all across the Mediterranean resulted in them being a common part of the urban world. The Actors Guild protected actors and provided then with an alliance that would help them find work and put on the best performances possible. Greek theater has proven itself to be timeless. It continues to entertain modern audiences with its timeless ability to portray universal themes. Although many of the plays have been lost in the ages, many of the originals from the 5th and 6th century BCE are regularly performed around the world and are still looked at as the top of their craft.